Discover our 7C approach that makes 180 slider video booth so special. It slides. It glides. And it rides on everyone’s mind. Moreover, here are a few reasons we believe it stands out. 120 slider video booth by iboothme doesn’t require gigantic amounts of space. In fact, it’s specially designed to cater to events and spaces where you need to operate with the stingiest of real estate requirements. One of the great things about the 120 slider video booth is that it is convenient to operate and install. No complex procedures and you can even carry it everywhere you want. Because we’ve made this video booth so compact and convenient, we can pass on even more benefits to you. Yes, the 120 slider video booth doesn’t just fit the smallest of spaces but the smallest of marketing budgets as well. Every event needs to have a thrifty way to collect data. And thanks to the mounted screen on the 120 slider video booth, collecting data is now a piece of cake. Whenever your customers need to get their photos or videos, they need to enter their details. This gives you a treasure chest of priceless information for your future marketing efforts. 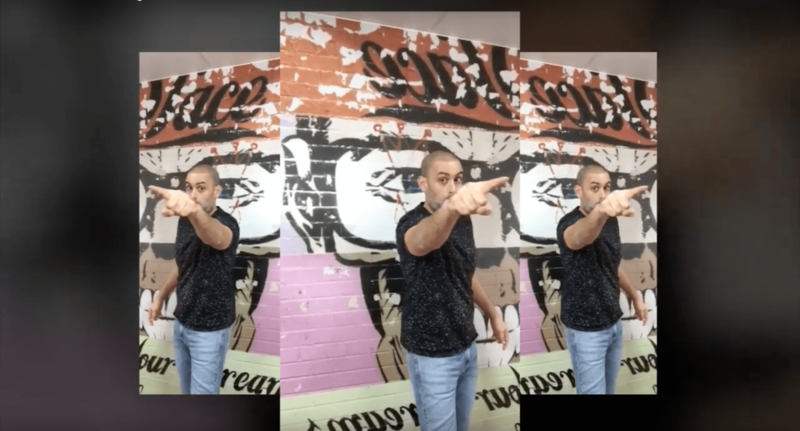 Whether it’s a photo, video, GIF, or a super cool effect, the 120 slider video booth by iboothme does it all. And if you have a specific need, rest assured, we can get it done. Our software solutions are bespoke and curated to suit your requirements. We also work closely with you to make sure you have the ultimate video booth results and software for your event or marketing campaign. After all, great ideas are born out of great teamwork. No matter what your idea is, the 120 slider video booth can work its wonders. After all, this is a visual solution that not only fits your marketing message but also gets it delivered to your audience wherever you please. Want to hire 120 slider video booth for your next event or marketing campaign? Talk to us. At iboothme, we are always listening to your needs and brainstorming on big ideas to make our products better and more powerful. Get in touch with us and we’ll be happy to slide your brand into the next level of stardom.